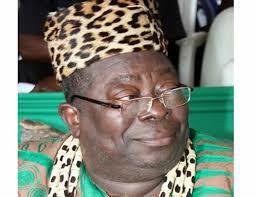 The paramount Ruler of TIV land, Tor Tiv, Dr. Alfred Akawe Torkula is dead. Meanwhile, there was an emergency meeting of the Tiv Traditional Council in Gboko yesterday. It was gathered that after the meeting in Gboko, a delegation of the Tiv Traditional Rulers’ Council would depart for Makurdi to brief Governor Ortom on the development.